A pretty look is a competitive edge that can not be ignored. I submitted my resume a number of times and had interviews a lot, but I dropped out every time. I did not think that I would stay unemployed, but I stayed home for more than a year after graduation. It looked like my pretty friends seemed to be better at finding jobs than me. The job field I was applying for considers appearance to be rather important. became employed and that gave me a sense of failure. so decided to fix the shortcomings of my face and write my resume again. That was the last choice. and her nose was also downturned and hooked. Also, her nose was wide on both sides and needed to be shaved down through osteotomy. No more worries about employment! Now I am a proud member of society! but the best thing is that I can work where I wanted! I prepared to get a job while I took care of the swelling. Finally, I passed and now I am working hard! 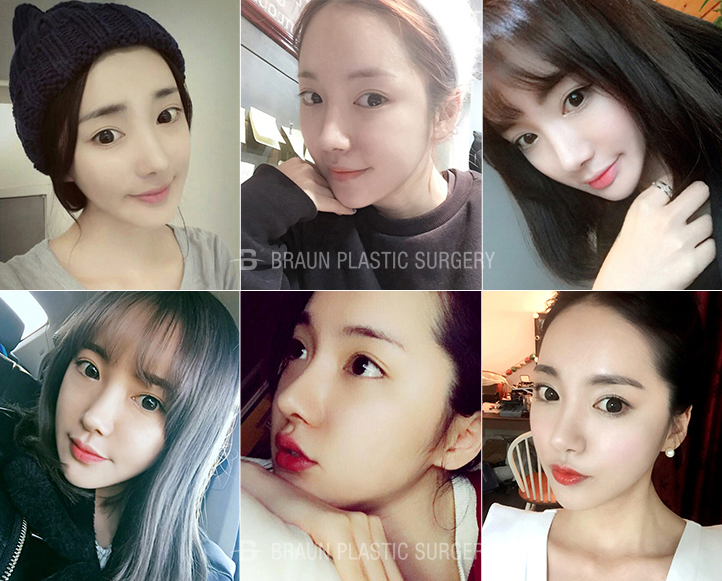 I am so grateful to the plastic surgeons in Braun who made my dream come true! My heart was pounding on the day of surgery. I arrived at the clinic early in the morning and changed into a patient uniform. As I was waiting, I felt it was finally real. would turn out great since a very well-known doctor would perform the surgery! I went into the operating room expecting excitement! Getting a slimmer face line every day! As soon as I came home, I remember having drunk pumpkin juice and corn tea from the clinic. I do not know why I was so thirsty. and I gargled several times to prevent complications. every day listening to music at night! I wanted to get rid of the swelling so I could get a job as soon as possible. Focusing on taking care of the swelling! I was told taking care of the swelling for 2 weeks is important. I visited the clinic for swelling management and I took a walk as well. so the swelling would last longer than others. When I looked at it after getting rid of the splint and the bandage, it looked like the surgery went great. so when I took a walk I was checking if there were others around. But now I just look like I have chubby cheeks so I can walk outside. Fun episodes in being pretty! and mouth are looking bigger as my face got smaller. I did not have eye surgery, but my eyes look bigger as my face became smaller. The best response is from my friends. They say I am pretty, my face is small, they are jealous of my small face, etc. me before sent a messages asking how I am doing. After my face swelling was gone, I want to the photo studio to get my resume picture taken. Photoshop and my picture could be on his homepage. I told him I got a plastic surgery and he said it’s so natural he wouldn’t have known. He was complimenting it and asked about the clinic! 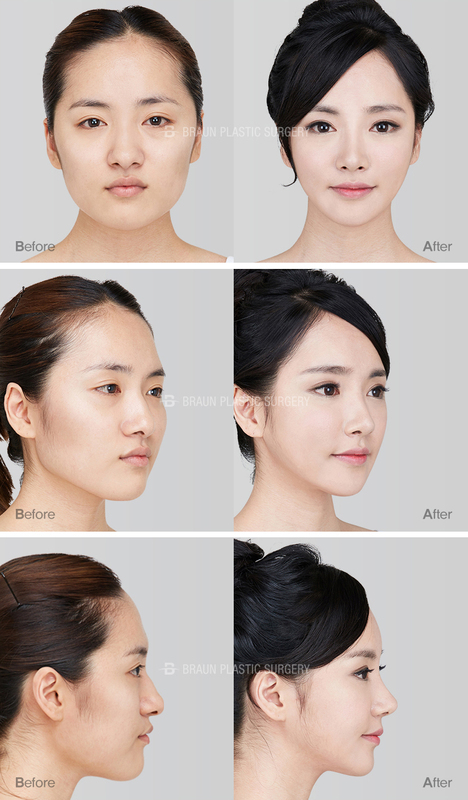 Become more confident with my pretty face! but now I am working hard and have a normal employment life. I did not know it would be so easy to get a job. I still cannot believe it. I am also very popular in the place where I am working at. I do not know what to say when I hear I look like a celebrity. I am happy for this kind of response but sometimes I get shy! But I have higher self-esteem and confidence after surgery! This is all thanks to Braun! I think I am living a happy life thanks to my doctors. I just wanted to get a job and now I get to hear that I am pretty wherever I go. Thank you very much, doctors in Braun!! !